Mr. Heisler received his Juris Doctor degree from the University of California, Davis, School of Law in 1991. Mr. Heisler has filed and prosecuted hundreds of patent applications into patents both in the U.S. and overseas. He has also registered hundreds of trademarks. In addition, Mr. Heisler has been involved in patent, trademark and copyright litigation, has assisted clients in licensing and selling their inventions to industry and has procured intellectual property rights in foreign countries. 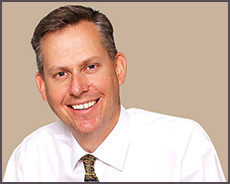 Mr. Heisler has also served as an expert witness in intellectual property litigation. Mr. Heisler established Heisler & Associates in Roseville, California in 1994. Previous to this, he spent five years as an associate attorney with the Law Offices of Bloom & Kreten in Sacramento, California. Mr. Heisler received a Bachelor of Science in Engineering degree with honors from Walla Walla College in 1988. Mr. Heisler’s studies covered a broad range of disciplines including machine design, engineering materials, thermodynamics, circuit analysis, computer programming, control systems and instrumentation. Mr. Heisler has practical experience in computer programming, having assisted in developing a computer system for a proton beam radiation therapy system at Loma Linda University Medical Center. Mr. Heisler is a frequent lecturer on intellectual property topics. He has made presentations to the Business Law Section of the Sacramento County Bar Association; the Intellectual Property Law Section of the Sacramento County Bar Association; the University of California, Davis, School of Law Intellectual Property Student Association; the University of the Pacific, McGeorge School of Law, Intellectual Property course (guest lecturer); the Sacramento/Sierra Nevada Section of the American Society of Mechanical Engineers; the Sacramento Chapter of the American Marketing Association; Sierra College Accounting and Finance for Entrepreneur course (guest lecturer); Various Rotary Club presentations; and the Learning Exchange, Protecting Your Inventions course. Mr. Heisler is a member of the California Bar (Bar Number: 155,149) and a registered patent attorney (Registration Number: 35,892). Mr. Heisler is also a member of the American Society of Mechanical Engineers and the Intellectual Property Section of the California Bar Association. Mr. Heisler sits on the advisory committee for the Intellectual Property Law Concentration at University of the Pacific, McGeorge School of Law.